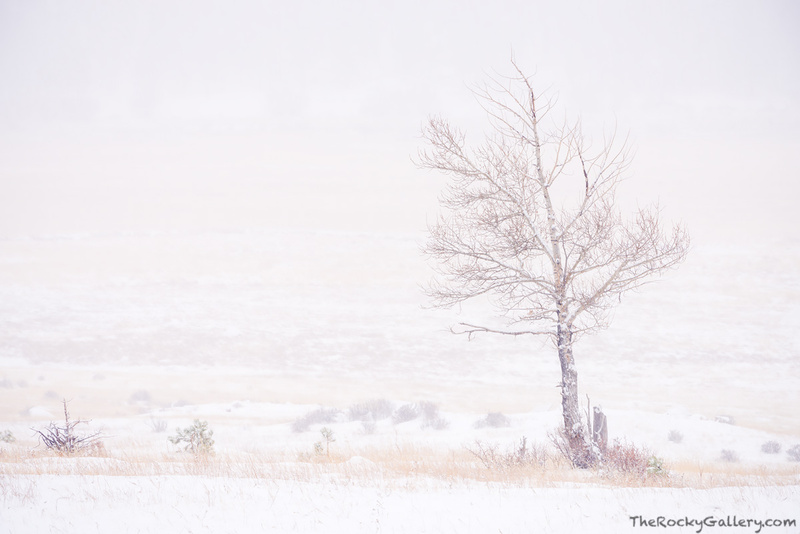 The snow is falling hard in Rocky Mountain National Park on a cold November morning. This lone aspen tree stands watch over a frozen Moraine Park as the snow flies and the seasons quickly transition towards winter. Photo © copyright by Thomas Mangan.